Tonight ChiIL Mama will be ChiILin' out at Steppenwolf Theatre Company’s Chicago premiere production of Constellations, the 80-minute, award-winning hit by British playwright Nick Payne. Directed here by prolific Chicago director and Steppenwolf artistic producer Jonathan Berry, Constellations premiered at the Royal Court in London to rave reviews before transferring to the West End and Broadway. The romantic two-hander stars ensemble member Jon Michael Hill as Roland (CBS-TV’s Elementary, Steppenwolf’s Superior Donuts) and Jessie Fisher as Marianne (Once on Broadway, Chicago Shakespeare Theater’s Othello). 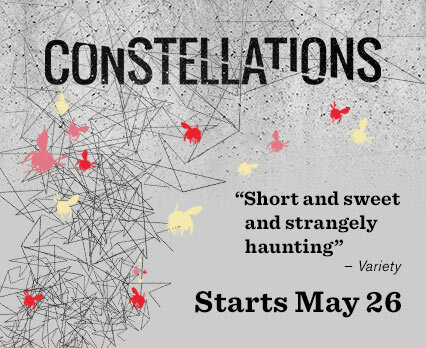 Constellations begins previews May 26, 2016 and runs through July 3, 2016 in the Upstairs Theatre, 1650 N Halsted St. Tickets ($20 - $89; $35 tickets offered every Tuesday with code ‘TUESDAYS’) are available through Audience Services at 312-335-1650 and steppenwolf.org. Audiences can see a different side of Jon and Jessie when they show off their musical talents for two nights only as part of the LookOut performance series in the 1700 Theatre. 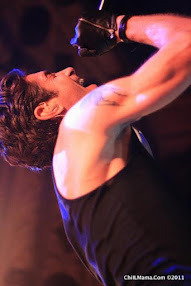 Hill performs with his Detroit-based band, Jon Michael Hill and The Wolves, bringing a smooth sounding mix of blues, country blues, hard rock and hip hop. Opening for his band is The Hellish Family Band, a roots, Americana duo led by local actors and real-life couple Jessie Fisher and Erik Hellman. LookOut performances take place Monday, June 13 at 8pm (doors open at 7:30pm) and Tuesday, June 14 at 9:30pm (doors open at 9pm), immediately following the performance of Constellations. 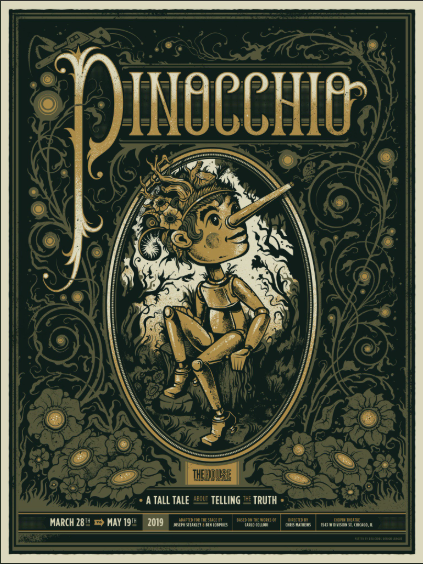 Tickets ($12) are now on sale through Audience Services, 312-335-1650 and steppenwolf.org. Steppenwolf Black and Red Card members may use credits to book. LookOut is Steppenwolf’s new multi-genre performance series; for the complete LookOut lineup, visit steppenwolf.org/lookout. Roland (a bee keeper) and Marianne (a theoretical physicist) meet at a party. In that single moment, an unfathomable multitude of possibilities unfold. Their chance meeting might blossom into a meaningful relationship or a brief affair: it might lead to nothing at all. Each step along those possible paths in turn offers a new series of potential outcomes: a marriage can exist alongside a breakup and a tragic illness can exist on a parallel plane to a happily ever after. In this clever, eloquent and moving story, Roland and Marianne’s romance plays out over a myriad of possible lifetimes, capturing the extraordinary richness of being alive in the universe. Single tickets for Constellations are currently available through Audience Services (1650 N Halsted St), 312-335-1650 and steppenwolf.org: Regular Run: $20 – $89. Prices subject to change. Twenty for $20: Twenty $20 tickets are available through Audience Services beginning at 11am on the day of each performance (1pm for Sunday performances). Discounts: $35 tickets available for every Tuesday with code ‘TUESDAYS.’ Rush Tickets: half-price rush tickets are available one hour before each show. Student Discounts: a limited number of $15 student tickets are available online. Limit 2 tickets per student; must present a valid student ID for each ticket. Group Tickets: all groups of 10 or more receive a discounted rate for any performance throughout the season, steppenwolf.org/groups. For subscription options, call 312-335-1650. Accessible performances include American Sign Language interpretation on Friday, June 17 at 7:30pm, Open Captioning on Saturday, June 25 at 3pm and Audio Description and Touch Tour on Sunday, June 26 (1:30 touch tour; audio-described performance at 3pm). For more information, visit steppenwolf.org/access. Here at ChiIL Live Shows, we're also excited to announce Steppenwolf’s new café & bar, Front Bar: Coffee and Drinks, is now open. If it was up to me, every performance space in town would have an adjoining place to hang out before or after shows and grab a drink or a bite to eat. It's a stellar way to facilitate theatre conversations and a pleasant way to wait for friends or meet new ones.  Front Bar is at 1700 N Halsted, which connects to the main theater building. 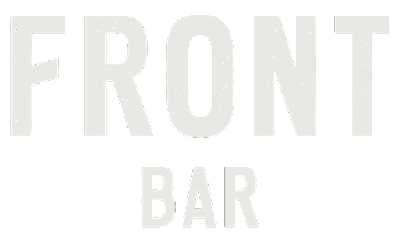 Click HERE for menu and additional details. Guests can stop by before or after the show to grab a drink or light fare in Steppenwolf’s new Front Bar: Coffee and Drinks (www.front-bar.com). Parking/Transportation info is available here including valet parking ($14 cash) directly in front of the main entrance at 1650 N Halsted St. With last minute parking questions or concerns, call the Steppenwolf Parking Hotline: (312) 335-1774. Nick Payne is a British playwright and screenwriter. Constellations opened at the Royal Court in 2012 and transferred to the West End where it received universally glowing reviews, won the Evening Standard Best Play Award and was nominated for an Olivier Award for Best New Play. In 2015, Constellations transferred to Broadway starring Jake Gyllenhaal and Ruth Wilson under the direction of Michael Longhurst. Payne received the prestigious George Devine Award in 2009 with his play, If There Is I Haven't Found It Yet, which was produced at the Bush Theatre in 2009 and went on to the Roundabout Theatre, starring Jake Gyllenhaal and directed by Michael Longhurst. Jonathan Berry joined the Steppenwolf staff as Artistic Producer in June 2015. A prolific director, he began his work in Chicago as Steppenwolf’s Artistic Office intern in 1998, and has continued a strong relationship with the company. His Steppenwolf directing credits include Melinda Lopez's Gary for the First Look new play series and A Separate Peace for Steppenwolf for Young Adults, as well as assisting on The Weir, The Man Who Came to Dinner, Mother Courage and Her Children and This Is Our Youth. Since 2009, Berry has taught Viewpoints for the School at Steppenwolf. 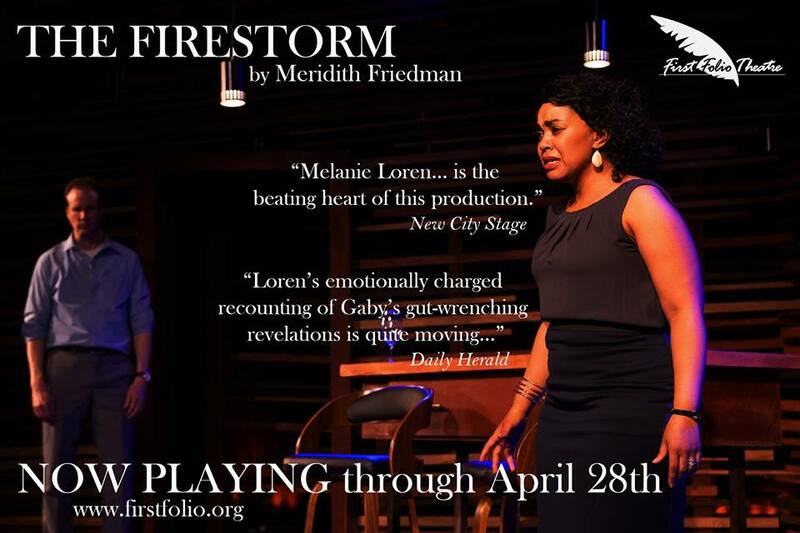 A company member of both Steep and Griffin Theatres, Berry has also directed for many Chicago companies, including Goodman Theatre, Remy Bumppo, Lifeline, The Gift, American Theatre Company and American Blues. Jessie Fisher (Marianne) starred as the lead in Once on Broadway for the final year of its run. Chicago credits include Othello, The Heir Apparent and Short Shakespeare! The Taming of the Shrew (Chicago Shakespeare Theatre); Cabaret (Jeff Award, Best Actress in a Musical), Frankenstein (The Hypocrites); 33 Variations (TimeLine Theatre Company); The Pride, Abraham Lincoln Was a F*gg*t (About Face Theatre); The Original Grease, It’s a Wonderful Life (American Theatre Company); Of Mice and Men (Steppenwolf Theatre Company); These Shining Lives (Rivendell Theatre Ensemble); and Cloud 9 (The Gift Theatre), among others. She attended University of Colorado and is a graduate of the School at Steppenwolf. Jon Michael Hill (Roland) currently appears as ‘Detective Marcus Bell’ in the CBS-TV series, Elementary. He was nominated for a Tony Award and won an Outer Critics Circle and Theatre World Award for his role as ‘Franco Wicks’ in the Broadway production of Superior Donuts by Tracy Letts, a role which he originated at Steppenwolf. A Steppenwolf ensemble member since 2007, Hill has performed in many productions including The Hot L Baltimore, The Tempest, Kafka on the Shore and The Unmentionables. Additional television and film credits include Detroit 1-8-7, Eastbound and Down, Law & Order: Special Victims Unit and Person of Interest. Constellations production team includes Joe Schermoly (scenic design), Izumi Inaba (costume design), Heather Gilbert (lighting design) and Christopher Kriz (sound design and original music). Additional credits include Christine D. Freeburg (stage manager), Tam Dickson (casting) and Hallie Gordon (artistic producer). J.P.Morgan is the Corporate Production Sponsor of Constellations. 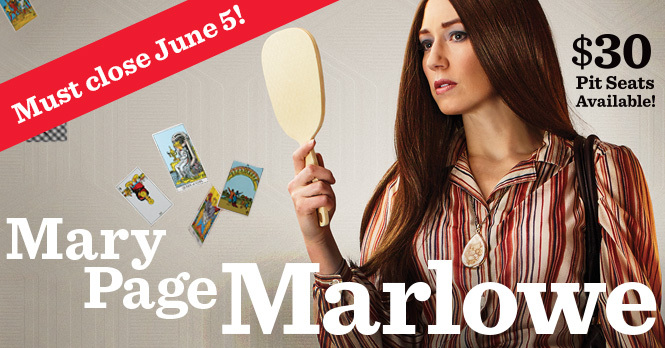 Currently playing in the 2015/16 Subscription Season is the world premiere of Mary Page Marlowe by ensemble member Tracy Letts, directed by artistic director Anna D. Shapiro, extended through June 5, 2016. Concluding the season is the Chicago premiere of Between Riverside and Crazy by Stephen Adly Guirgis, directed by ensemble member Yasen Peyankov (June 23 – August 21, 2016). Steppenwolf’s 2016/17 Subscription Season includes the world premiere of Visiting Edna by David Rabe, directed by artistic director Anna D. Shapiro (September 15 – November 6, 2016); the world premiere of The Fundamentals by Erika Sheffer, directed by ensemble member Yasen Peyankov (November 10 – December 23, 2016); the Chicago premiere of The Christians by Lucas Hnath, directed by ensemble member K. Todd Freeman (December 1, 2016 – January 29, 2017); the Chicago premiere of Straight White Men, written and directed by Young Jean Lee (February 2 – March 19, 2017); the world premiere of Linda Vista by Tracy Letts, director TBA (March 30 – May 21, 2017); and the Chicago premiere of Hir by Taylor Mac, director TBA (June 29 – August 20, 2017).